You can also view our designer directory and fashion media page. For great styles and prices shop our collection featuring girl's, hoodies, t-shirts, sweaters, jackets and more. I'll breeze through clothing stores and run my hands along various fabrics, lightly caressing a lace cuff, rubbing the sleeve of a velour track suit, delicately touching an exquisite brushed twill. popping in and out of boutiques, and taking the time to stop and people watch was one way I would teach myself about the city and fashion. Shopping districts, streets dotted with character filled boutiques attracted me during my shopping escapades. A time gathering ideas, fancying things, touching and trying on. Even when I walk away empty handed. I return to my own closet bursting with ways to restyle and mix/match. Find out more about Aidesho's Design. In high society and the world of business it is who you know that matters but, in the world of high fashion it is who you wear. For many people today wearing a designer label and shopping in stores that carry clothing only by the most well known designers seems to be a growing trend. However, in this ever shrinking economy designer clothing is becoming less and less affordable to the average shopper. So what do you do if you really want clothing by a specific designer but, are on a limit budget? Here are a few suggestions. There are a number of online stores that specialize in designer labels at reasonable price. Some of these stores handle overstocked items bearing designer labels, while others may handle last year’s fashions or items that were previously owned. By shopping online you have a wider variety of stores to choose from and often can get quality clothing by the top designers in the world at some nice discounts. Competition for your business is fierce and many online stores frequently offer big sales on designer labels. If you are not in a rush to find that perfect sweater, dress or evening wear, watching for these sales and waiting for that perfect outfit is the best way to go. That way you can wear your favorite designer label and afford to eat as well. That's right many designers are also feeling the pinch of a slow economy and are actually designing clothes for those who are budget minded. While you won't see these clothes in the local Walmart, there are many online stores and small boutiques in larger cities that deal in budget designer clothing. Most of these clothes are still the same great designs as the haute couture clothing they are simply made of less expensive materials which are more suited to many lifestyles. While you may not be able to fill your closet with design label clothing, or shop in the most well known stores in the world it is possible for you to have an item or two of your favorite designer by shopping smart and keeping your eyes peeled for those really good deals. One great way to save money on designer clothing is combine those designer labels with less expensive items to create your own style. For example pairing that classy designer sweater with a pair of inexpensive but, great looking jeans or a skirt will create your own style and save you money. Having one or two designer labels in your closet that are easy to mix and match are all you really need to go anywhere in style. Whether you are building a retail store, moving into an all ready existing retail space, or simply renovating your existing store now is the time to create the type of retail store that consumers are going to love shopping at. After all, the only way your store is going to be successful and grow is to cultivate satisfied shoppers who will sing your store's praises and bring in even more business. Creating the right shopping atmosphere is more than having the right merchandise. It means creating an unforgettable and enjoyable experience for the shopper. Here are some ways that you can create the perfect place to shop. When setting up your store, the first thing you need to do is create an environment that is shopper friendly. Doing this may be harder than you would originally think. Shoppers want to be able to find products easily, and don't want to feel crowded or hemmed in by having too much merchandise in too small of an area. Dividing the store into sections, and having related sections near one another, provides for a more relaxed experience for a shopper. Spend the time to keep the store clean, not just the restrooms and floors, but windows, doors and shelves as well. A clean and neatly kept store tells customers that you care and gives them a more positive experience. One of the things that can be extremely frustrating to a shopper is the lack of adequate lighting. Customers want there to be enough light to view the details of clothing, to see colors of dishes, clothing and other merchandise, and to not feel as though they are shopping in a cave. Temperature should also be a consideration when setting up that retail store. Having a cool place where shoppers can escape too in the heat of summer, and a reasonably warm place during the colder times of the year will make your customers feel more at home and just may prolong their shopping time. Part of setting up the ideal retail store is having some displays that are creative and actually helps shoppers to see how items in your store may be useful to them. Just as furniture stores often arrange furniture to go together encouraging those shoppers looking for a sofa to buy as chair as well, your displays can do the same. Try displaying a set of dishes on an attractive placemat or tablecloth complete with that flower vase filled with flowers. Or display that outfit with the perfect shoes, and other accessories as well as jewellery. The more creative your displays the more your customers can picture certain items together and the more likely they are to buy more than one item. All too often a great retail store is ruined by their sales staff. Customers tend to shop at stores where they are greeted warmly and treated like royalty. This doesn't mean that your sales staff has to faun over the customers, but it does mean that they should be willing to smile and be friendly, offer assistance when needed and answer the customers questions honestly. A customer who is looking for a good quality inexpensive DVD player doesn't want to be talked into the most expensive DVD player into the store, they want you to recommend to them one that meets their budget and explain honestly why one DVD player is a better buy than another. If you are honest with your customer, they may buy a lower priced item now, but they will also be back to purchase many more items for your store. If you want to create the best shopping experience for your customers then simply get out of that back office and wonder around the stores and listen to what various customers are saying as they shop, look at their body language and the expressions on their faces. A smiling customer who is chatting freely and making positive comments are fine, but what you really need to see and hear are those customers who are having less than a positive experience. Listen to what they have to say and try to improve those areas in which they are unhappy. With a little thought and attention to detail any retail store can make their store the place to shop. While all women like to dress well and love wearing some of the newest styles, most can't afford a closet full of designer clothing. However, ask just about any woman who are the top women clothing designs and they will immediately come up with a handful of names. Here are a few of the top women clothing designers whose names are immediately recognizable. Almost every bride to be has drooled over one of the stunning wedding gowns created by designer Vera Wang. Here unique creativity also extends to evening gowns for other occasions as well. While most wome tie this designer to more formal wedding gowns few people know that she also creates individual costumes for figure skaters. Having trained as a figure skater herself in her youth it is only natural that she would bring her love of that sport into her business of designing beautiful and exciting clothing. Mainly known for his stunning and well made women's handbags, Louis Vuitton is one of the most well known names in women's fashion. It also doesn't hurt that another well known women's clothing designer Mark Jacobs is the creative director for Louis Vuitton designs. Dona Karran actually started her career like many other designers working for another fashion designer, Anne Klein and eventually striking out on the own. Anyone who watches those famous music, television, and music stars knows some of Dona Karran's most elegant designs. Zac Posen is another women's fashion designer that is well known for creating those iconic designs worn by many starts such as Kate Winslet and Helen Mirren. While Gucci has always been well known for it's handbags and shoes, it was designer Frieda Gianini that really brought Gucci to the forefront of women's wear. Her shape hugging evening gowns, and glamous sports wear, and his increased Gucci's popularity among women. Detroit born Ana Sui's love of fashion is evident in every design she creates. And while not every woman can afford one of this designers clothing fashions, many can choose from among her fashion fragrances and cosmetics. Ana Sui has also branched out into designing clothing for children and juniors. Kate spade is an accessory designer that is particularly known for her original and functional handbags, organizers and diaper bags. Many women find her Pajama collection wonderful and exciting. Every woman dreams of owning at least one or two designer outfits at some point in their lives, but most women realize that having a designer dress, skirt, or shirt may be well beyond their budget. Or it use to be. Now with online shopping, designer clothing can often be found at affordable prices. One of the reasons why you can find designer clothing online cheaper than in those brand name stores is due to the difference in overhead costs. Brick and Mortar stores need to maintain the building, keep on the electricity, and provide adequate heating. You also need to pay personnel to be work the store as well. Online stores require fewer personnel and have much lower overhead costs so the mark up on those designer outfits are less than in those brick and mortar stores. In addition, the competition for online business is fierce which means that are all kinds of coupons, discounts, and other tools that you can use to find that perfect designer outfit online for far less than you might expect. However, there are some things you need to be pay close attention to when purchasing designer clothing online. Make sure that the clothing you are buying has been created by the name brand designer you want. There are many companies these day that sell rip off designs and you want to avoid these companies. Check the stores reputation and make sure to sure to read reviews from other people who have shopped at this specific online shop. Don't buy something simply because it is a great value. Make sure that the designer outfit is in the right size, style, and color for you. Check the companies return policy. Since different designers sizes may differ you may need to return the item for a smaller or larger size so knowing the return policy is important. Use a Paypal account or a credit or debit card for your purchases. This will give proof in case a dispute arises. Make sure that the company you are dealing with keeps your information private. If choosing a designer top, skirt, or pants make sure that you have a variety of clothes in your closet that you can wear with the item to create different looks and style of your own. When buying a designer dress, think of different ways you can accessorize it to create different looks. 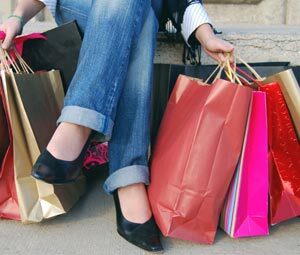 By keeping your eye out for those discounts, and shopping smart you can realize your dream of adding some designer clothing to your wardrobe.